Dr. Bernard Rimland, the founder of ARI, would be enormously gratified that more and more parents are learning that “Autism is Treatable.” However, not all treatments are created equal; most commonly prescribed drugs have side effects that range from minor to severe to potentially fatal. One of our goals at the Autism Research Institute (ARI) is to inform parents of the efficacy of various treatments for individuals with Autism Spectrum Disorder (ASD). ARI urges all practitioners to inform their patients about the possible adverse effects associated with every treatment that they recommend. The lists of drugs and supplements below contain links to documents as well as other information about possible adverse effects. 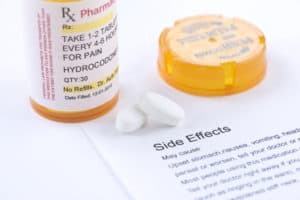 Many on the spectrum suffer from seizures or are prone to seizures, and many of the drugs commonly prescribed to these people may lower the threshold for having seizures. We have also listed those drugs that are associated with seizures along with a link. If your son/daughter experiences side effects from taking prescribed medications, please contact the FDA at: MedWatch . Since supplements may also lead to side effects, please report them to: Dietary Supplements – Adverse Event Reporting. You can also call: 1.800.FDA.1088 (1.800.332.1088) to report adverse effects associated with prescription drugs and supplements. In addition, parents can learn more about possible side effects, as well as benefits, associated with various treatments by reviewing the results from our parent treatment survey. The survey findings are based on over 27,000 responses, and include a large number of biomedical interventions, including drugs, nutritional supplements, and diet; of course, there is a selection bias in any survey. Yes, autism is treatable, but it is the responsibility of the parent, working with the practitioner, to find the most efficacious and safest treatment for their child.